Adam’s interests lie in the areas of manufacturing processes and mechanical design. His work has focused on process modelling and optimisation, machine design, and fixture and tool design, for complex components in the aerospace, aeronautical, automotive and renewable energy sectors. Adam’s current research focus is on novel metal forming processes. Adam holds a BEng (Hons) majoring in Mechanical and Manufacturing, BSc majoring in Physics and a PhD from the Australian National University. 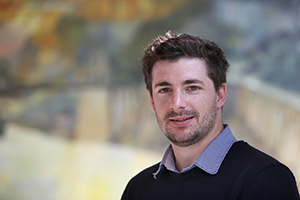 In his industry-focused PhD, Adam investigated the application of joining sequence as a method for controlling dimensional variation in vehicle bodies in collaboration with Ford Australia. Prior to joining the Use Less Group in 2016, Adam was a Research Associate at the University of Nottingham within the Rolls Royce University Technology Centre, where he focused on robotic design for on wing repair of gas turbine engines. He currently holds the post of Research Associate at the University of Cambridge within the Department of Engineering. Adam is a Chartered Engineer through the Institute of Mechanical Engineers.